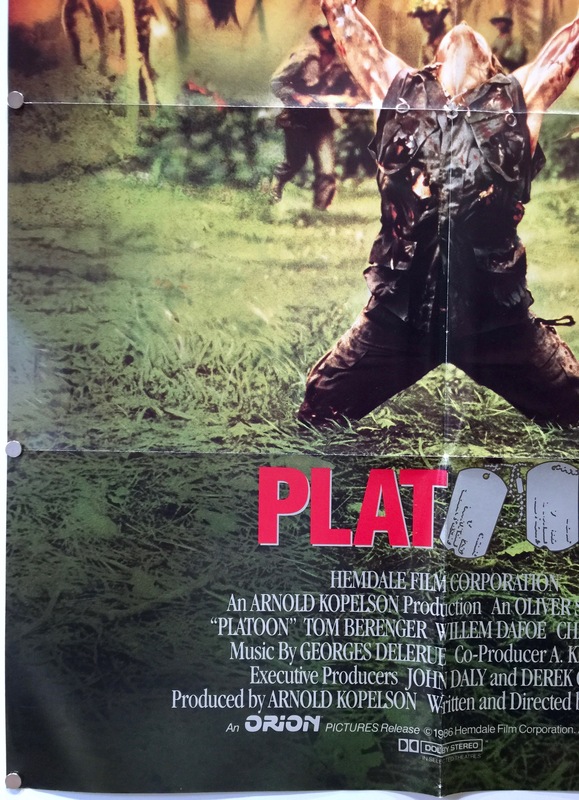 Platoon is a 1986 film directed by Oliver Stone. It was produced by Arnold Kopelson. 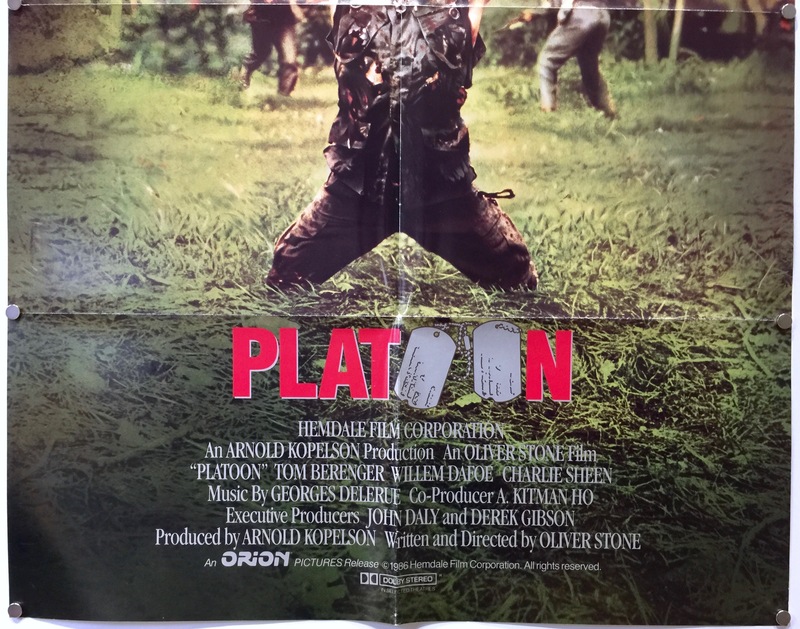 Platoon was the first in a trilogy of Vietnam War films directed by Oliver Stone, followed by Born on the Fourth of July (1989) and Heaven & Earth (1993). 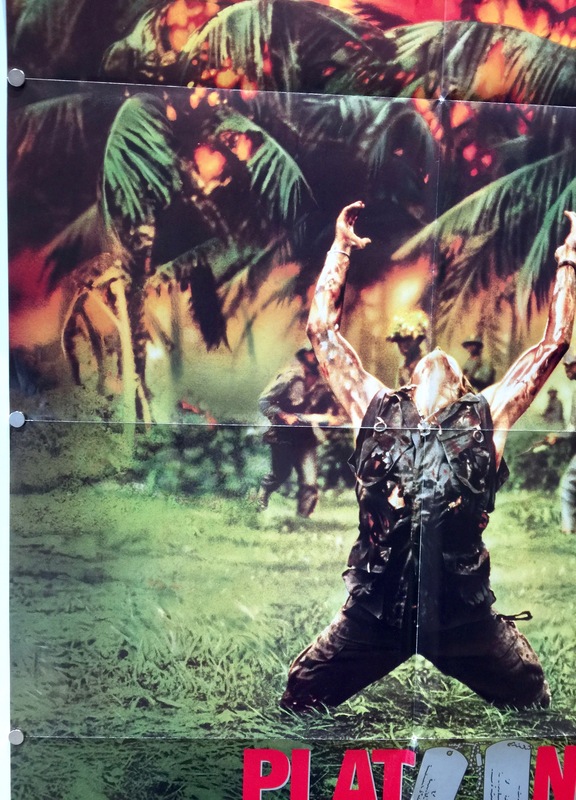 Oliver Stone wrote the screenplay based on his experiences as a soldier with the US Army in Vietnam, to counter the vision of the war portrayed in John Wayne’s The Green Berets. It stars Charlie Sheen, Willem Dafoe, Tom Berenger, Richard Edson, Keith David, Forest Whitaker, Kevin Dillon and Johnny Depp. The storyline follows Chris Taylor, a young and naive man who volunteers for combat in Vietnam. He is assigned to the 25th Infantry Division led by the young and inexperienced Lieutenant Wolfe near the Cambodian border. He soon discovers his presence is quite nonessential, and is considered insignificant to the other soldiers. The NCOs of the troop; the hardened and cynical Staff Sergeant Robert “Bob” Barnes, and the more idealistic Sergeant Elias are the leaders the platoon look too. Following an illegal killing during a village raid tensions between the NCOs reach breaking point. 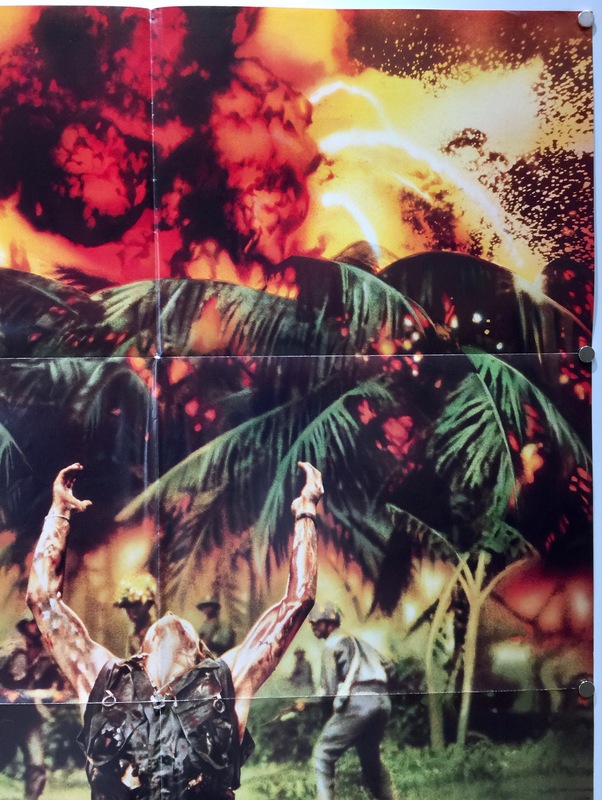 Nearing a point of psychological meltdown, he struggles for survival and soon realises he is fighting two battles, with the enemy and the men within his platoon. Following his tour in Vietnam in 1968, Oliver Stone wrote a screenplay called Break, a semi-autobiographical account detailing his experiences with his parents and his time in the Vietnam War. 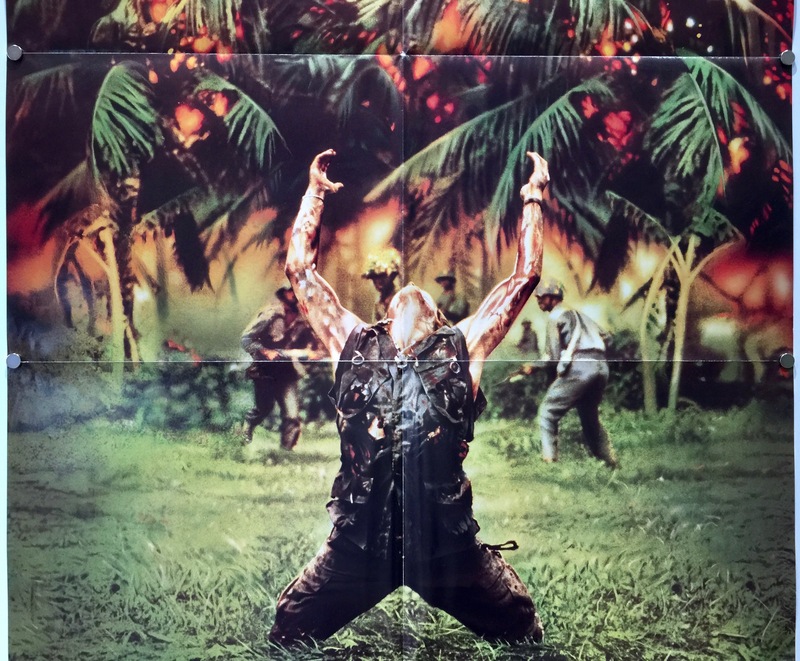 His service resulted in a ‘big change’ in how he viewed life and war and although the screenplay Break was never produced, he later used it as the basis for Platoon. 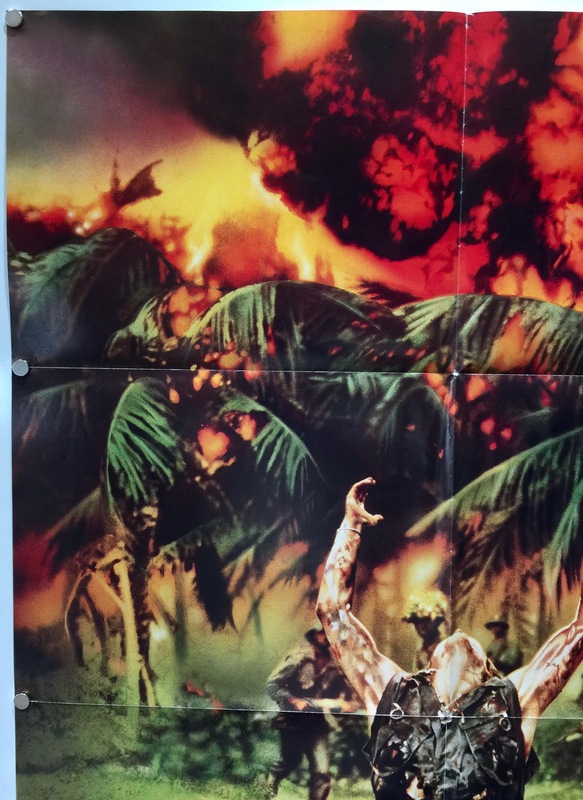 The whole cast was sent on an intensive training course, where they had to dig foxholes and subject to forced marches and nighttime “ambushes,” using special-effects explosions. The training led by Vietnam War veteran Dale Dye put the actors through an immersive 30-day military-style training regime. They were limited to how much food and water they could eat and drink and when the actors slept, fired blanks to keep the tired actors awake. 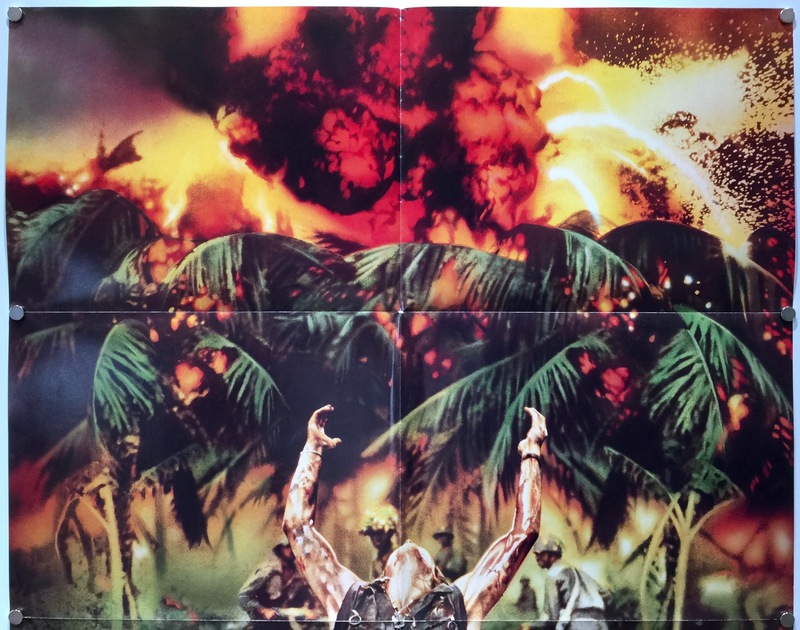 Principle photography was completed on the island of Luzon in the Philippines but the production was almost cancelled due to the political upheaval in the country attributed to then-dictator Ferdinand Marcos. Additional filming was completed in Mount Makiling (for the forest scenes), Cavite (for the river and village scenes) and Villamor Air Base near Manila. 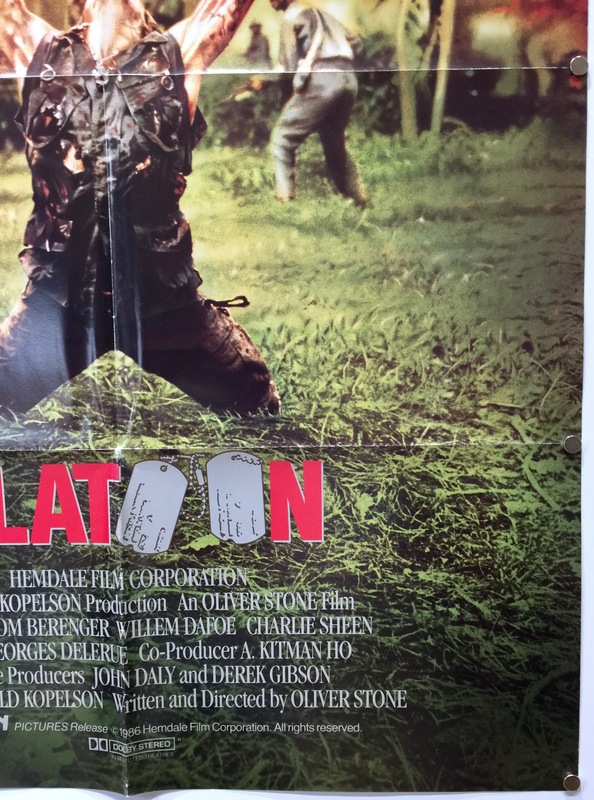 When Platoon was released it received positive reviews from the critics. 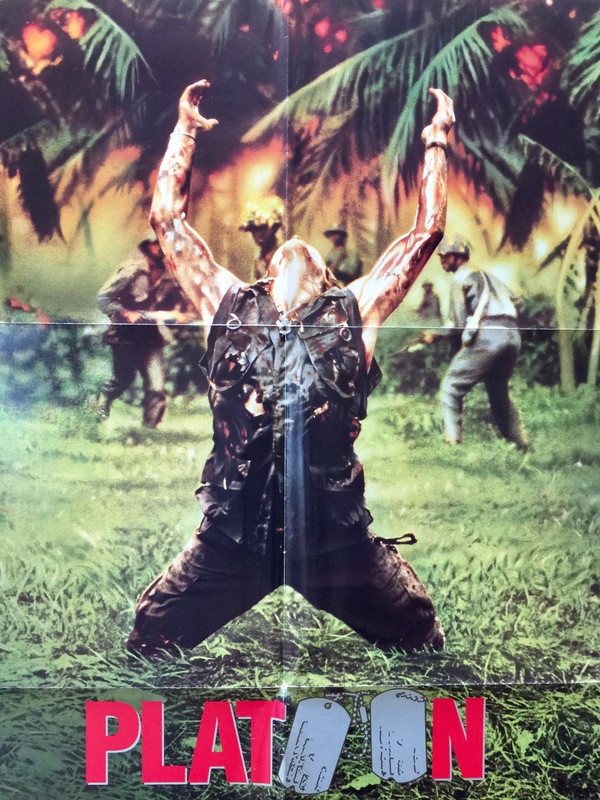 On Rotten Tomatoes it holds an 88% rating with the consensus “Informed by director Oliver Stone’s personal experiences in Vietnam, Platoon forgoes easy sermonising in favour of a harrowing, ground-level view of war, bolstered by no-holds-barred performances from Charlie Sheen and Willem Dafoe”. Roger Ebert gave the film four out of four stars and called it the best film of the year, and the ninth best of the 1980s. 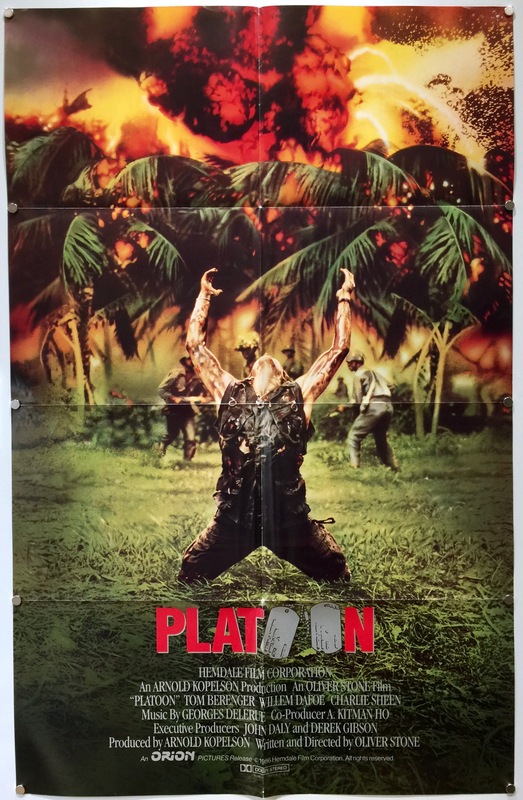 Commercially, Platoon was a huge box office success. 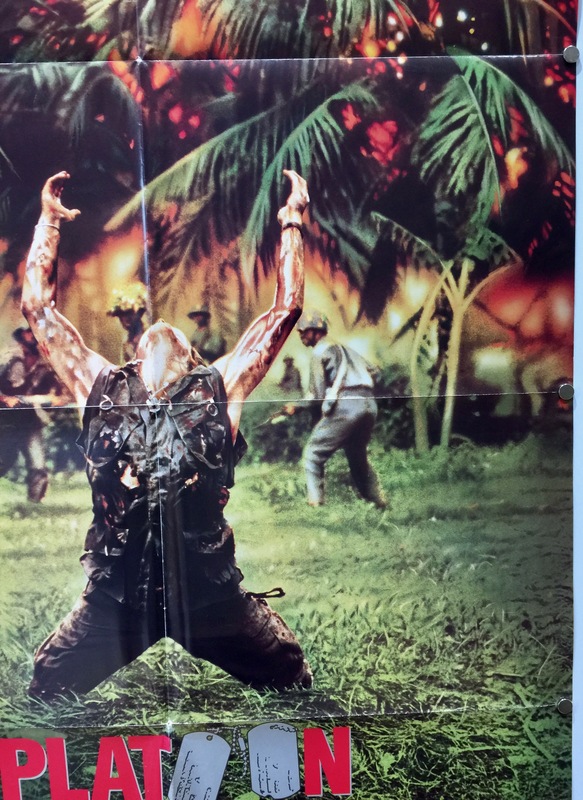 At the time the studios were reluctant to finance Platoon, as it was about the unpopular Vietnam War. 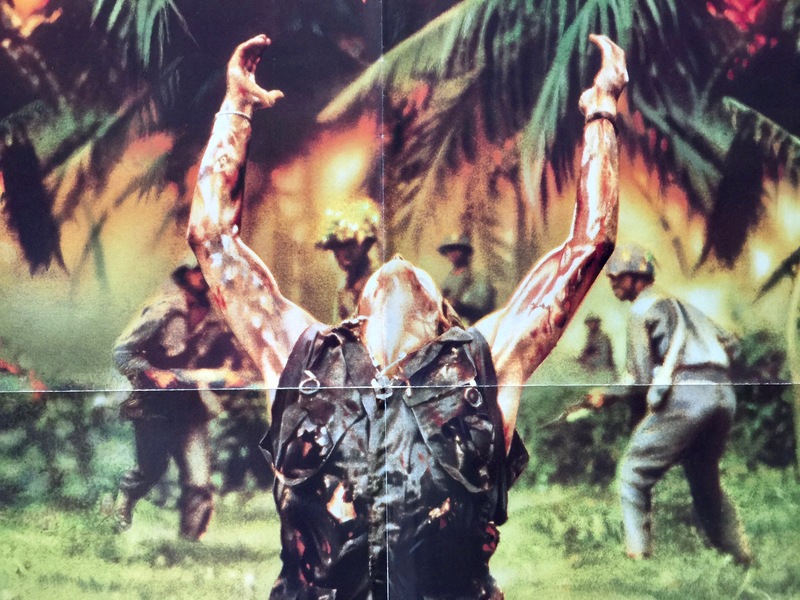 Following the release of The Deer Hunter and Apocalypse Now, the studios believed that these films were considered the pinnacle of the Vietnam War film genre and reason not to make Platoon. Produced on an estimated production budget of $6m, it took $241,080 in the US on its opening weekend, although this was a limited release. It went on to take $138,530,565 in total US box office receipts. The film was marketed with the tagline, “The first casualty of war is innocence.” This was an adaptation of Senator Hiram Johnson’s assertion in 1917 that “The first casualty of war is the truth”.